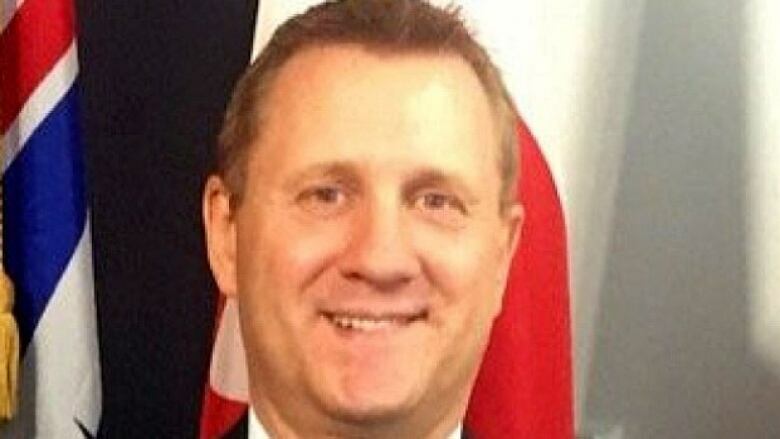 Frank Elsner will be demoted to constable and then fired, Police Complaint Commissioner Stan Lowe says. Former Victoria police chief Frank Elsner was "caught in a web of lies" when two retired judges began investigating numerous allegations of misconduct against him, according to a report from B.C. 's police complaint commissioner. Commissioner Stan Lowe found that Elsner must be fired in response to eight acts of misconduct, including unwanted touching of two female officers and exchanging inappropriate messages with the wife of another subordinate. "These findings and the accompanying discipline measures are unprecedented in Canadian policing," Lowe said in a statement. The commissioner also reviewed the internal discipline process conducted by Victoria Mayor Lisa Helps and Esquimalt Mayor Barbara Desjardins as co-chairs of the Victoria Police Board. He said the Police Act should be amended so that retired judges, not mayors, investigate misconduct allegations against police chiefs and deputy chiefs. "It makes little sense to entrust the responsibilities of discipline authority to a person who lacks the requisite training and experience, and who may have little to no understanding of the complexities of the police discipline system," Lowe said. Helps told CBC she agrees with everything in Lowe's report, and has already written to the province to request the same change to the Police Act. Elsner was the subject of disciplinary proceedings before two retired judges, Carol Baird Ellan and Ian Pitfield. Baird Ellan wrote that Elsner "is caught in a web of lies. Where he finds himself facing contradictory evidence, he tailors his statements to reveal only that part of the truth he feels he must." In his statements to an investigator, Elsner appears "to have considered himself justified in presenting to her any version of the events that would assist him to achieve a favourable outcome," the retired judge said. That included asking one of the witnesses to lie to investigators. Pitfield found that Elsner had pressed his groin against the buttocks of a female officer, who told investigators she was shocked that "my new chief would stand behind me, and from a female's perspective, it's almost like an oppressive position." A second female officer said that Elsner pinned her against a wall, holding both arms, after a dinner in 2015. In an earlier encounter with the same woman during a use-of-force training session, Elsner made multiple inappropriate comments as she practised a restraint on him, including, "I could do this all day, you're so warm." According to Lowe, those actions "caused emotional harm and violated the dignity of the affected parties, the gravity of which is amplified by his position of power and the importance of the office held by a chief constable." Meanwhile, Elsner also exchanged "multiple suggestive messages" over several months with the wife of a subordinate through his official Victoria Police Department Twitter account. He used his company phone and official email to communicate with her, and the pair exchanged a "romantic embrace and kiss" in Elsner's office, according to Baird Ellan. Later, during a conversation with the woman's husband, Elsner minimized the nature of the relationship. "The husband left the meeting under a false impression as to the nature of the conduct that was the subject of the investigation, and then informed the co-chairs [of the police board,] based on that, that he did not want an investigation," Baird Ellan wrote. Those actions amounted to breach of trust, conflict of interest and inappropriate use of police department equipment and facilities. Elsner resigned from the force last year, and started a consulting firm for the marijuana industry. Del Manak was named as the department's new chief constable in his stead. Despite the eight findings of misconduct against Elsner, Lowe described the Victoria Police Department as resilient and said he has good reason to expect that those in charge are building a better environment for female officers. He said the discipline process should serve as proof that high-ranking officers will be held accountable for their actions.